Rebels and visionaries lead Pittsburgh, Pennsylvania’s white-hot whiskey scene. The most-awarded craft whiskey distillery in the U.S. is located near Pittsburgh, Pennsylvania. 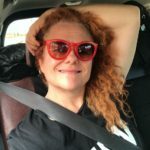 For Grelli, who owns and operates Wigle with her husband and parents, that work includes producing nearly 40 different types of alcohol, including vodka, gin, absinthe, bitters, and rye whiskey. There’s also overseeing Wigle’s four stores and assorted tastings, classes and other events. 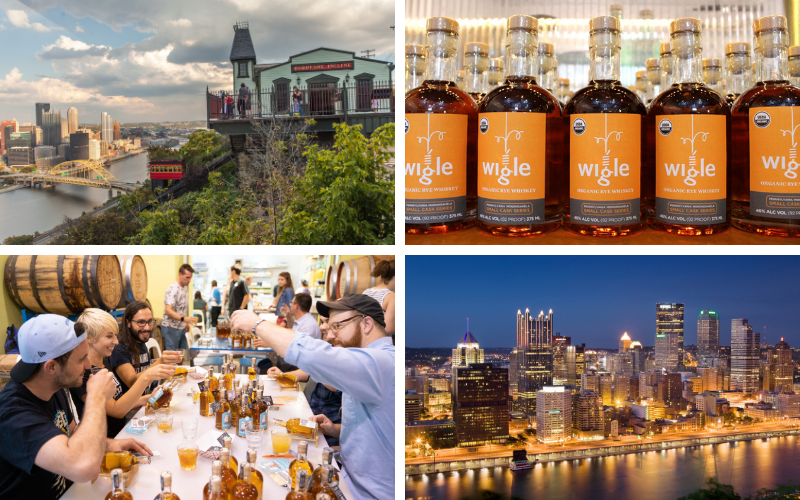 In May, the Wigle team will be opening a new shop in the Pittsburgh International Airport. As if this all weren’t enough to keep Grelli hopping, she’s spearheading the drive to found a new tourist trail in Pennsylvania inspired by Kentucky’s bourbon trail. The plan is to pay homage to a little known event in Keystone State history called The Whiskey Rebellion and celebrate the region’s rich whiskey-making heritage. Slated to open this summer, The Whiskey Rebellion Trail will explore the country’s first serious challenge to federal authority, which in 1791 began in Pittsburgh—then the epicenter of American whiskey production. Furious over a new excise tax on spirits, Philip Wigle punched a tax collector, inadvertently encouraging thousands of other western Pennsylvania farmer/distillers to take up arms against the government. The Whiskey Rebellion lasted until 1794, when Washington dispatched troops led by Alexander Hamilton to the area. Wigle, sentenced to hang for his role in the insurrection, was eventually pardoned by Washington. The Whiskey Rebellion protesters are commemorated in Washington in other ways. The David Bradford House, former home of the leader of the insurgency, is a National Historical Landmark and museum open to the public. And each July, the town’s Whiskey Rebellion Festival—to be held July 11-14 this year—fetes the area’s unique heritage with historical reenactments, exhibitions and demonstrations, as well as period music, food, art and plenty of family fun. The whole shindig more or less gets kicked off a month earlier with the Liberty Pole Erection Ceremony, when the titular post is paraded from the Bradford House down Main Street to Liberty Pole Spirits, where it stands proudly for the rest of the summer. 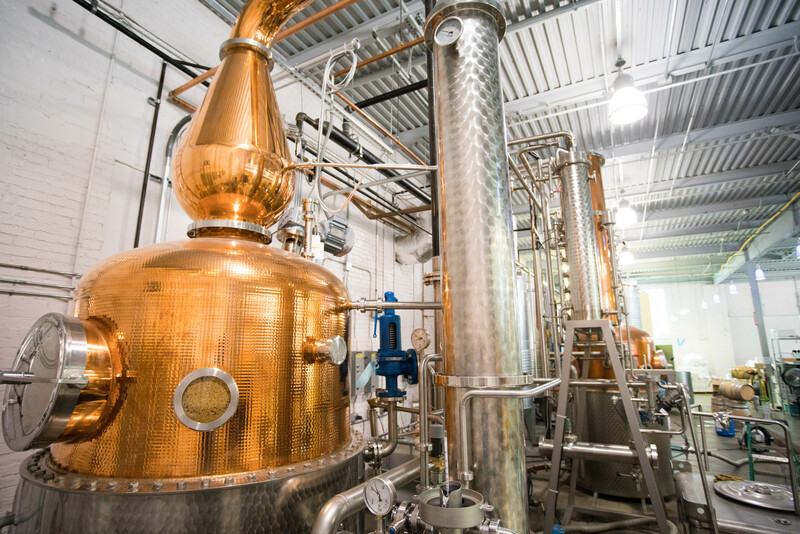 The distillery, located in Pittsburgh’s Strip District, offers popular tours on Saturday. 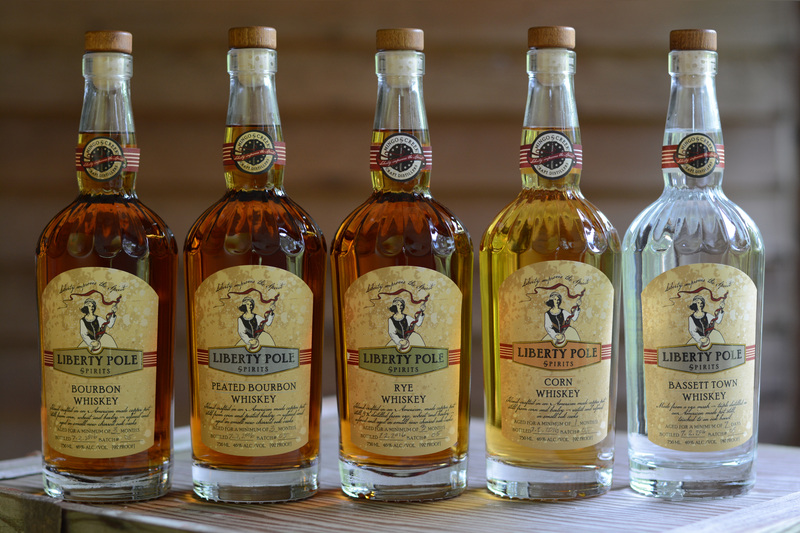 Whether you can’t wait for the new Whiskey Rebellion Trail or are looking for more to explore, check out the Distilled Spirits Council’s American Whiskey Trail. Jill Gleeson is a memorist and travel journalist living in the Appalachians of central Pennsylvania. Find her at gleesonreboots.com.